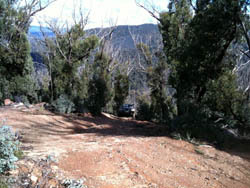 Morning Star Track runs between Donnellys Creek Road and McEvoys Track near O\'Tooles Camping Ground. The track is very steep in sections with rock steps. Some fantastic views along the way. The track rises from approximately 500 metres above sea level to over 1100 metres.